A recovery in case of a mini facelift cosmetic surgery is significantly faster as compared to major procedures such as a traditional facelift. This procedure is also popularly known as a “weekend facelift” because of its faster recovery. Busy moms and working people choose this plastic surgery because they are typically hard-pressed for time. However, the recovery process can vary from one patient to another due to several factors. The extent of surgery performed, the skill and conservative approach of the cosmetic surgeon, and the natural healing ability of a patient will determine the overall length of recovery. Dr. Brian J. Parker is an experienced plastic surgeon providing a mini facelift procedure to patients in Las Vegas and surrounding areas. He will discuss the estimated recovery process and other issues during the initial consultation with his patients. A mini facelift plastic surgery will usually be performed on people in their thirties or forties, when the signs of aging are not very deep or conspicuous. In this age group, the healing ability is typically stronger, and recovery process becomes easier. The procedure is primarily focused on the lower third part of the face. The patients will usually not have heavy sagging in the neck or jowls. Therefore, the incisions are minor, and restricted to the hairline on the temple and to some extent on the front of the ear. 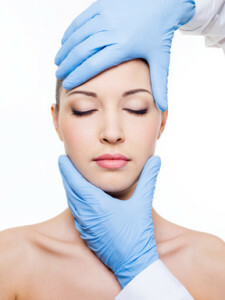 Plastic surgeon, Dr. Parker, provides a customized treatment to each patient to meet their individual aesthetic goals. He will also advise the expected recovery time in each case to his patients at the time of initial consultation in Las Vegas. Recovery in case of a mini facelift cosmetic surgery may include both physical recovery and social and emotional recovery. Sometimes even subtle changes to the face can take a few days for the patient to appreciate and accept. Temporary interruption in social activities can be difficult, particular for patients who are outgoing by nature. Only very mild pain or discomfort may be experienced by patients in case of a mini facelift plastic surgery. In most cases, the pain will disappear within a day or two. The surgeon may prescribe Tylenol as strong pain medications may not be required. The procedure is performed on an outpatient basis. The patient should have someone to drive them back home. Most patients will be able to resume their regular activities in about three days. The surgeon may allow the patient to drive and go to work after the third or fourth day, as long as they are off the pain medications. If the mini facelift has been performed in conjunction with a neck lift, it may be more difficult to turn the head initially due to mild neck stiffness. Minor bruising or swelling may still be visible after the first three days. Patients can apply makeup to make the effects appear inconspicuous. Heavy exercises and strenuous activities should be avoided for at least two to three weeks. This allows enough time for the incisions to heal completely.